The Mikoyan-Gurevich MiG-25 (NATO reporting name: Foxbat) is a high-supersonic interceptor and reconnaissance-bomber aircraft that was among the fastest military aircraft to enter service. Designed by the Soviet Union's Mikoyan-Gurevich bureau the first prototype flew in 1964 with entry into service in 1970. A top speed of Mach 2.83+, a powerful radar and four air-to-air missiles, worried U.S. observers and prompted development of the McDonnell Douglas F-15 Eagle in late 1960s. The capabilities of the MiG-25 were better understood in 1976 when Soviet pilot Viktor Belenko defected in a MiG-25 to the United States via Japan. Production of the MiG-25 series ended in 1984 after completion of 1,190 aircraft. The MiG-25 flew with a number of Soviet allies and former Soviet republics and it remains in limited service in Russia and several other nations. During the Cold War, Soviet Air Defence Forces, PVO (not to be confused with Soviet Air Force, VVS) was tasked with the strategic air defence of the USSR. In the decades after World War II, this meant not only to deal with accidental border violations, but more importantly to defend the vast airspace of the USSR against US reconnaissance aircraft and strategic bombers carrying nuclear armed free-fall bombs (a threat that no longer exists today). The performance of these types of aircraft was steadily improved. Overflights by the very high flying American Lockheed U-2s in the late 1950s revealed a need for higher altitude interceptor aircraft than what was then available. The subsonic Boeing B-47 Stratojet and Boeing B-52 Stratofortress strategic bombers were followed by the Mach 2 capable Convair B-58 Hustler, with the even faster North American XB-70 Valkyrie on the drawing board. A major up-grade in the PVO defence system was required, and at the start of 1958 a requirement was issued for manned interceptors capable of going 3,000 km/h and fly at heights up to 27 km (88,583 ft). Mikoyan and Sukhoi responded. The Mikoyan-Gurevich OKB had been working on a series of interceptors during the second half of the 1950s: The I-1, I-3U, I-7U, I-75 Ye-150 Ye-150A, Ye 152, Ye-152A and Ye-152P (rebuilt from one of the two Ye-152 aircraft). The Ye-150 was noteworthy because it was built specifically to test the Tumansky R-15 engine that would later be used for the MiG-25. The Ye-152 with the R-15 engine set several world records under the designation 'Ye-166'. It was intended to be the definite Heavy Interceptor design, as would the Ye-152M. However, when the Ye-152P was finished the PVO had already selected the Tupolev Tu-128, the work on the MiG-25 was well under way, and the Ye-152M was never built. Actual work on the new Russian interceptor that would become the MiG-25 started mid-1959, a year before Soviet intelligence learned of the American Mach 3 A-12 reconnaissance aircraft. It is not clear if the design was influenced by the American A-5 Vigilante, or not. Requirements could easily have led the design team to use a similar layout. The promise of the new design roused the military's interest in both VVS and PVO. 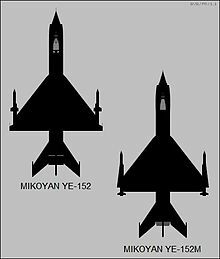 In February 1961 the Central Committee of the Communist Party of the Soviet Union issued a joint directive with the Council of Ministers of the USSR, tasking the Mikoyan OKB with the development of an aircraft designated Ye-155, the interceptor and reconnaissance versions of which were designated Ye-155P (Perekhvatchik - radar-directed, all weather interceptor) and Ye-155R (Razvedchik-reconnaissance) respectively. On 10 March 1961, Mikoyan signed a formal order to start design work on the Ye-155. The design bureau studied several possible layouts for the new aircraft. One had the engines located side-by-side, as on the MiG-19. The second had a stepped arrangement with one engine amidships, with exhaust under the fuselage, and another in the aft fuselage. Interestingly the third project had an engine arrangement similar to that of the English Electric Lightning, with two engines stacked vertically. Option two and three were both rejected because the size of the engines meant any of them would result in a very tall aircraft which would complicate maintenance. The idea of placing the engines in underwing nacelles was also rejected because of the dangers of any thrust asymmetry during flight. Having decided on engine configuration there was thoughts on giving the machine variable geometry wings or Swing wings and a second crew member, a navigator. Wings with variable geometry would improve maneuverability at subsonic speed, but at the cost of extra weight. Because the reconnaissance aircraft would operate at high speed and high altitude the idea was soon dropped. Another interesting but impractical idea was to improve the field performance using two RD36-35 lift-jets. Vertical takeoff and landing would allow for use of damaged runways during wartime and was studied on both sides of the Iron Curtain. However the problem has always been that engines dedicated to vertical lift do not contribute with any power in vertical flight, and occupy space in the airframe needed for fuel. The MiG interceptor would need all the fuel it could get so the idea went nowhere. A variety of other roles were considered for the aircraft, including cruise missile carrier and even a small five to seven-passenger supersonic transport, but none of these got anywhere and only the main directive of a high-altitude reconnaissance aircraft for the Frontal Aviation and heavy interceptor for homeland defence was ever realised. The first flight of the interceptor prototype, "Ye-155-P1", took place on 9 September 1964. Development of the MiG 25, which represented a major step forward in Soviet aerodynamics, engineering and metallurgy, took several more years to complete. 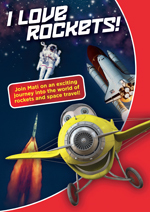 The first claim was for world speed records with payloads of 1,000 and 2,000 kilogram. Test pilot Alexander Fedotov reached an average speed of 2,319.12 km/h over a 1,000 km circuit in 16 March 1965. For pure speed, with no payload, test pilot Mikhail M. Komarov averaged 2,982.5 km/h over a 500 km closed circuit in 1967, three months after the new aircraft was first shown to the public at Domodedovo. On the same day A. Fedotov reached an altitude of 29,977 m with a 1,000 kilogram payload. But the MiG could go higher and eventually it become the first aircraft to go higher than 35,000 m.
Time to height records were recorded on 4 June 1973 when Boris A. Orlov climbed to 20,000 m in 2 min 49.8 sec. The same day, Pyotr M. Ostapenko reached 25,000 in 3 min 12.6 and 30,000 m in 4 min 3.86 sec. A few years later, on 31 August 1977, "Ye-266M" flown by MiG OKB Chief Test Pilot Alexander V. Fedotov, set the recognized absolute altitude record for a jet aircraft under its own power. He reached 37,650 m (123,523.62 ft or 23.39 miles) at Podmoskovnoye, USSR in zoom climb (the absolute altitude is a different record than the sustained altitude in horizontal flight). The aircraft was actually a MiG-25RB re-engined with the powerful R15BF2-300. It had earlier been part of the program to improve the aircraft's top speed that resulted in the MiG-25M prototype. In all 29 records were claimed, of which seven were all-time world records for time to height, altitudes of 20,000 m and higher, and speed. Several records still stand. Because of the thermal stresses incurred in flight above Mach 2, the Mikoyan-Gurevich OKB had difficulties with choosing what materials to use for the aircraft. They had to use E-2 heat-resistant plexiglass for the canopy, and much of high-strength stainless steel for the wings and fuselage. Using titanium rather than steel would have been ideal, but it was expensive and difficult to shape with tools. The problem of cracks in welded titanium structures with thin walls could not be solved. So the heavier nickel steel was used instead. It cost far less than titanium and allowed for welding, along with heat resistance seals. 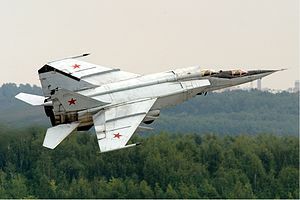 The MiG-25 was constructed from 80% nickel steel alloy, 11% aluminum, and 9% titanium. The steel components were formed by a combination of spot-welding, automatic machine welding and hand arc welding methods. The MiG-25 was theoretically capable of a maximum speed of Mach 3+ and a ceiling of 90,000 ft (27,000 m). However, its high speed was problematic: although sufficient thrust was available to reach Mach 3.2, a limit of Mach 2.8 had to be imposed as the turbines tended to overspeed and overheat at higher speeds, possibly damaging them beyond repair. Full scale production of the MiG-25R ('Foxbat-B'), began in 1969 at the Gorkii aircraft factory (Plant No.21). The MiG-25P ("Foxbat-A") followed in 1971, and 460 of this variant was built until production ended in 1982. The improved PD variant that replaced it was built from 1978 till 1984 with 104 aircraft completed. But from then on the Gorkii factory switched over production to the new MiG-31. A non-combat trainer variant ("Foxbat-C") was also developed for each version, the MiG-25PU and MiG-25RU, respectively. The MiG-25R evolved several subsequent derivatives, including the MiG-25RB reconnaissance-bomber, the MiG-25RBS ("Foxbat-D") with side-looking airborne radar (SLAR), the MiG-25RBK ELINT aircraft, and the MiG-25BM ("Foxbat-F") SEAD variant, carrying four Raduga Kh-58 (NATO reporting name AS-11 'Kilter') anti-radiation missiles. The BM variant was introduced late into service, in 1988. Picture - MiG 25RBSh with markings of 2nd Sqn/47th GvORAP (Guards independent recce Regiment). Belenko's particular aircraft was brand new, representing the very latest Soviet technology. The aircraft was assembled very quickly, and was essentially built around its massive Tumansky R-15(B) turbojets. Welding was done by hand. Rivets with non-flush heads were used in areas that would not cause adverse aerodynamic drag. The aircraft was built of a nickel alloy and not titanium as was assumed (though some titanium was used in heat-critical areas). The steel construction contributed to the craft's massive 64,000 lb (29,000 kg) unarmed weight. Maximum acceleration (g-load) rating was just 2.2 g (21.6 m/s�) with full fuel tanks, with an absolute limit of 4.5 g (44.1 m/s�). One MiG-25 withstood an inadvertent 11.5 g (112.8 m/s�) pull during low-altitude dogfight training, but the resulting deformation damaged the airframe beyond repair. Combat radius was 186 miles (300 km), and maximum range on internal fuel (at subsonic speeds) was only 744 miles (1,200 km) at low altitude ( 1000 meter). The airspeed indicator was redlined at Mach 2.8, with typical intercept speeds near Mach 2.5 in order to extend the service life of the engines. A MiG-25 was tracked flying over Sinai at Mach 3.2 in the early 1970s, but the flight resulted in the destruction of its engines. The majority of the on-board avionics were based on vacuum-tube technology, not solid-state electronics. Although they represented aging technology, vacuum tubes were actually more tolerant of temperature extremes, thereby removing the need for providing complex environmental controls inside the avionics bays. In addition, the vacuum tubes were easy to replace in remote northern airfields where sophisticated transistor parts might not have been readily available. Thanks to the use of vacuum tubes, the MiG-25P's original Smerch-A (Tornado, NATO reporting name "Foxfire") radar had enormous power - about 600 kilowatts. As with most Soviet aircraft, the MiG-25 was designed to be as rugged as possible. Moreover, the use of vacuum tubes makes the aircraft's systems more resistant to an electromagnetic pulse, for example after a nuclear blast. As the result of Belenko's defection and the compromise of the MiG-25P's radar and missile systems, beginning in 1976, the Soviets started to develop an advanced version, the MiG-25PD ("Foxbat-E"). This upgrade consisted of new RP-25 Sapfeer/ Saphir look-down/shoot-down radar, infrared search and track (IRST) system, other electronic improvements and more powerful R15B-300 engines. About 370 earlier MiG-25Ps were converted to this standard and redesignated MiG-25PDS. Plans for a new aircraft to develop the Foxbat's potential to go faster than the in-service limit of Mach 2.8 were designed as a flying prototype. Unofficially designated MiG-25M, it had new powerful engines R15BF2-300, improved radar, and missiles. This work never resulted in a machine for series production, however, as the coming MiG-31 showed more promise. The official edict clearing the MiG 25P for service was issued 13 march 1972. However the unarmed 'B' version would do a greater impact than the interceptor when the USSR sent two MiG-25R, and two MiG-25RB to Egypt in March 1971 (staying until July 1972). They were operated by the Soviet 63rd Independent Air Detachment (Det 63) set up specially for this mission. Det 63 flew over Israeli held territory in Sinai on reconnaissance missions roughly 20 times. The flights were in pairs at maximum speed and high altitude (between 17,000-23,000 m). On 6 November 1971, an Egyptian MiG-25 flying at Mach 2.5 was met by Israeli F-4Es and fired upon unsuccessfully. A MiG-25 was tracked flying over Sinai at Mach 3.2 during this period. The MiG-25 oversped its engines, which led to their destruction. Unit Det 63 was sent back home in 1972, though reconnaissance Foxbats were sent back to Egypt in 19-20 October 1973 during the Yom Kippur War. Unit Det 154 remained there until late 1974. The MiG-25 was in service with the Iraqi Air Force during the Iran-Iraq War, but its success against Iranian fighters is largely unknown. Research by journalist Tom Cooper shows that as many as 14 MIG-25s may have been shot down by Iranian fighters during the period spanning 1978 to 1988, although it is difficult to determine the validity of these claims. The most widely known Iraqi pilot of the war was Colonel Mohommed "Sky Falcon" Rayyan, who was credited with 10 kills. Eight of these were while flying the MiG-25P against the IRIAF from 1981 to 1986. This total makes him an ace and the most successful MiG-25 pilot. During the Persian Gulf War, a US Navy F/A-18 piloted by Lt Cdr Scott Speicher was shot down on the first night of the war by a missile probably fired by a MiG-25. The kill was reportedly made with a R-40TD missile fired from a MiG-25PDS flown by Lt. Zuhair Dawood of the 84th squadron of the IrAF. Two MiG-25s were shot down by USAF F-15Cs during the Gulf War. After the war, in 1992, a U.S. F-16 downed a MiG-25 that violated the no-fly zone in southern Iraq. In May 1997, an Indian Air Force Mikoyan MiG-25RB Foxbat-B reconnaissance aircraft created a furore when the pilot flew faster than Mach 2 over Pakistani territory following a reconnaissance mission into Pakistan airspace. The MiG-25 broke the sound barrier while flying at an altitude of around 65,000 feet, otherwise the mission would have remained covert, at least to the general public. The Pakistan Government considered the breaking of the sound barrier was deliberate to make the point that the Pakistan Air Force (PAF) had no aircraft in its inventory which can come close to the MiG-25's cruising height (up to 74,000 feet). India denied the incident but Pakistan's Foreign Minister, Gohar Ayub Khan, believed that the Foxbat photographed strategic installations near the capital, Islamabad. The MiG-25 was an important strategic asset to India until the advent of reconnaissance satellites. Ye-133 This designation was given to one aircraft, it was used by Svetlana Savitskaya to establish a number of women's speed and height records. The Ye-133 set a women's speed record of 2,683.44-km (1.667.412 mph) on the 22 June 1975. Ye-155-R1 Reconnaissance prototype. Ye-155-P1 Interceptor fighter prototype. Ye-266 High-speed record breaking aircraft. The Ye-266 set a new speed record in a 1,000 km (621 mile) close circuit in April 1965. Ye-266M High-altitude record breaking aircraft. The Ye-266M set an absolute altitude record of 37,650 m (123,524 ft). MiG-25R "Foxbat-B" Single-seat reconnaissance aircraft, fitted with cameras, sensors and ECCM equipment. MiG-25P "Foxbat-A" Single-seat all-weather interceptor fighter aircraft, powered by two Tumansky R-15B-300 turbojet engines, armed with four R-40 air-to-air missiles MiG-25PU "Foxbat-C" Two-seat trainer aircraft, with a new nose section fitted with two separate cockpits, lacks radar and has no combat capability. MiG-25RB "Foxbat-B" Single-seat reconnaissance-bomber aircraft, fitted with cameras and a Peleng automatic bombing system. The aircraft can carry a bombload of six 1,102 lb (500 kg) bombs or one nuclear weapon. MiG-25RBS "Foxbat-D" Single-seat reconnaissance-bomber aircraft, fitted with cameras and a side looking airborne radar (SLAR), equipped with a Sabla radio location system. MiG-25RBSh MiG-25RBS "Foxbats" fitted with new equipment. MiG-25RBK Single-seat Elint aircraft, fitted with a side looking airborne radar. MiG-25RBT Single-seat Elint aircraft. MiG-25RBV Single-seat reconnaissance-bomber aircraft, fitted improved equipment. MiG-25RU Two-seat reconnaissance, trainer aircraft, it has no operational equipment. MiG-25BM "Foxbat-F" Single-seat defence-suppression aircraft, armed with Kh-58 or Kh-31 air-to-surface missiles. MiG-25PD "Foxbat-E" Single-seat all-weather interceptor fighter aircraft, fitted with a RP-25 look-down/shoot down radar, and an undernose IR search and track system, powered by two Tumansky R-15BD-300 turbojet engines, armed with two R-40 and four R-60 air-to-air missiles. MiG-25PDS This designation was applied to all surviving MiG-25P "Foxbat A"s. The aircraft were subsequently upgraded in the early 1980s. Algerian Air Force - 48 MiG-25 purchased from Ukrainian stocks. These included MiG-25PDS, RBV, PU, and RU types. 11 were in service in January 2010, including five MiG-25P, three MiG-25PD, and three MiG-25RBSH models. Armenian Air Force - one is inventory as of November 2008. One MiG-25PD based at Gyumri. Azerbaijan Air Force - received eight MiG-25PD, 14 MiG-25RB and six MiG-25 trainers. Five of these aircraft were in use in November 2008. Military of Kazakhstan - 16 in inventory as of November 2008. Russian Air Force - 42 MiG-25RBs are in service as of January 2010. Syrian Air Force - Received 16 MiG-25PD, eight MiG-25RB and two trainers; 40 were in use as of November 2008, including MiG-25Rs and a MiG-25U. Military of Turkmenistan - 24 (MiG-25PD/MiG-25PU) in inventory as of November 2008. Bulgarian Air Force - Three MiG-25RBT (#731, #736 and #754) and one MiG-25RU (#51) aircraft were delivered in 1982. On 12 April 1984, #736 crashed near Balchik. The pilot ejected successfully. They were operated by 26th RAB at Dobrich until their withdrawal. In May 1991, the surviving MiG-25s were returned to the USSR in exchange for five MiG-23MLDs. Belarus Air Force - Had up to 50 MiG-25, including 13 MiG-25PD; by 1995 the type had been withdrawn. Indian Air Force - Took delivery of six MiG-25RBK and two MiG-25RU in 1981. They were operated by No. 102 Squadron "Trisonics" based at Bakshi-ka-talab AB in Bareilly, Uttar Pradesh. One RBK crashed on 3 August 1994. Retired from service in July 2006. The Trishul air-base in Bareilly had Foxbats capable of flying up to 80,000 ft.
Iraqi Air Force - Had seven MiG-25PU, nine MiG-25R, and 19 MiG-25PD/PDS variants as of January 1991. None flew to Iran during war. Most were destroyed or damaged on the ground in the Gulf War. Two MiG-25PU, three R and five PDS were in use after 1991. Libyan Air Force Operated a large number of MiG-25, some sources say more than 60 were delivered. Types were of the MiG-25PD, MiG-25RBK, MiG-25PU and MiG-25RU variants. They were operated by No.1025 Squadron at Jufra-Hun, No.1055 Squadron at Ghurdabiya and an unidentified squadron at Sabqa. Current status of the force is unknown. Soviet Union - The largest operator historically, Soviet aircraft were passed on to its successor states in 1991. Ukrainian Air Force - Took over 79 aircraft after the break up of the USSR. They have been withdrawn from service. It is reported some have been sold to countries in the third-world. MiG-25RB (s/n 25105) is in the restoration facility at the National Museum of the United States Air Force in Dayton, Ohio. 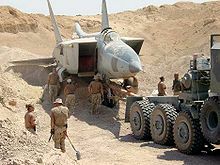 This aircraft was found in 2003 during the opening months of Operation Iraqi Freedom by American forces, buried in the sand near Al Taqaddum Airbase, about 250 km west of Baghdad. The aircraft had been buried to prevent its destruction on the ground by coalition aircraft. When uncovered, the MiG-25RB was incomplete, as the wings could not be located. This aircraft was one of two MiG-25s transported by a Lockheed C-5A Galaxy from Iraq to Wright-Patterson Air Force Base for examination. It was donated to the National Museum of the United States Air Force in December 2006. The museum's restoration staff is currently attempting to locate a set of wings to complete the aircraft for display. Atkinson, Rick. Crusade: The Untold History of the Persian Gulf War. New York: Houghton Mifflin Company, 1993. ISBN 978-0395710838. Barron, John. MiG Pilot: The Final Escape of Lt. Belenko. New York: Mcgraw-Hill, 1980. ISBN 0-380-53868-7.
Cooper Tom and Farzad Bishop. Iranian F-14 Units in Combat. London: Osprey Publishing, 2004. ISBN 978-1841767871. Eden, Paul, ed. "Mikoyan MiG-25 'Foxbat'". "Mikoyan MiG-31 'Foxhound'". Encyclopedia of Modern Military Aircraft. London: Amber Books, 2004. ISBN 1-90468-784-9. Gordon, Yefim. Mikoyan MiG-25 Foxbat: Guardian of the Soviet Borders (Red Star Vol. 34). Hinckley, UK: Midland Publishing Ltd., 2008. ISBN 978-1857802597. Gordon, Yefim and Bill Gunston. Soviet X-Planes. Earl Shilton, Leicester, UK: Midland Publishing Ltd., 2000. ISBN 978-1857800999. Green, William and Gordon Swanborough. The Great Book of Fighters. Osceola, WI: Motorbooks International Publishing, 2001. ISBN 0-7603-1194-3. Gunston, Bill. 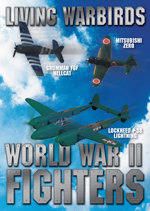 An Illustrated Guide to Modern Fighters and Attack Aircraft. London: Salamander Books, 1980. ISBN 0-66804-964-2. Gunston, Bill and Mike Spick. "Mikoyan/Gurevich MiG-25." 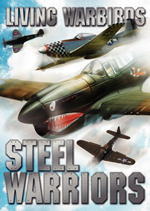 Modern Air Combat: The Aircraft, Tactics and Weapons Employed in Aerial Combat Today. New York: Crescent Books, 1983. ISBN 978-0517412657. Jenkins, Dennis R. McDonnell Douglas F-15 Eagle: Supreme Heavy-Weight Fighter. Arlington, TX: Aerofax, 1998. ISBN 1-85780-081-8. Nicolle, David and Tom Cooper. Arab MiG-19 and MiG-21 Units in Combat (Osprey Combat Aircraft 044). London: Osprey Publishing, 2004. ISBN 978-1841766553. Rich, Ben and Leo Janos. Skunk Works. New York: Little, Brown & Company, 1994. ISBN 0-316-74300-3. Spick, Mike. 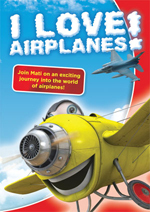 The Great Book of Modern Warplanes. St. Paul, Minnesota: MBI, 2000. ISBN 0-7603-0893-4.